Join us as we celebrate Miami's best artists, musicians, fashion designers, culinary masters, and cocktail creators. Guests will enjoy complimentary food, wine, cocktails, and beer samplings. Entertainment includes musical performances, fashion displays, live performance art, and works from local artists. Artopia will also be announcing the winners of the MasterMind Awards. Winning local artists who show promise in the arts community will be given $1,000 grants. 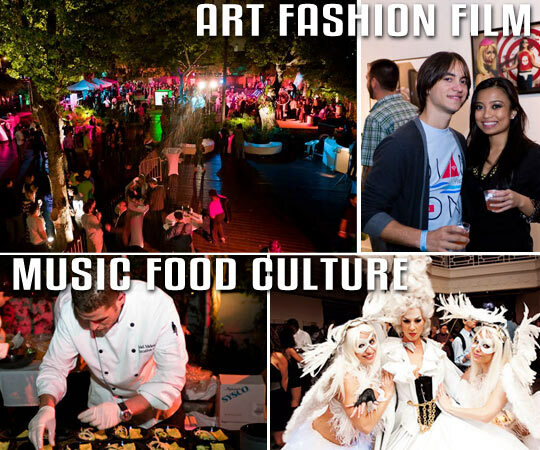 Tickets include food samples from top local restaurants, liquor and beer samples, and full access to Artopia which includes a fashion showcase, art exhibits, live entertainment, and more. VIP tickets include early entry to Artopia at 6 p.m., open bar, exclusive restaurant sampling from top restaurants not available in General Admission, access to VIP lounge and exclusive DJ, and full access to Artopia which includes a fashion showcase, art exhibits, live entertainment, and more. Sign up to get the weekly Miami New Times Arts Newsletter with listings on upcoming events. © 2019 Miami New Times, LLC. All rights reserved.